I am a long time fan of and volunteer for Action for Healthy Kids, which is currently welcoming schools to apply for 2014-2015 School Grants for Healthy Kids. The grants will range from $500 to $5,000 and are designed to help schools create or expand school breakfast programs, pilot universal breakfast programs or enhance their physical activity programs. In addition to financial support, through funding from its sponsors, AFHK will provide the roughly 1,000 chosen schools with significant in-kind contributions in the form of programs, school breakfast and physical activity expertise and support to engage volunteers. The organization also will provide schools management expertise and support to develop strong alternative and universal breakfast or physical activity programs. Bottom line: Your school will get monies, support and technical assistance – a winning combo! 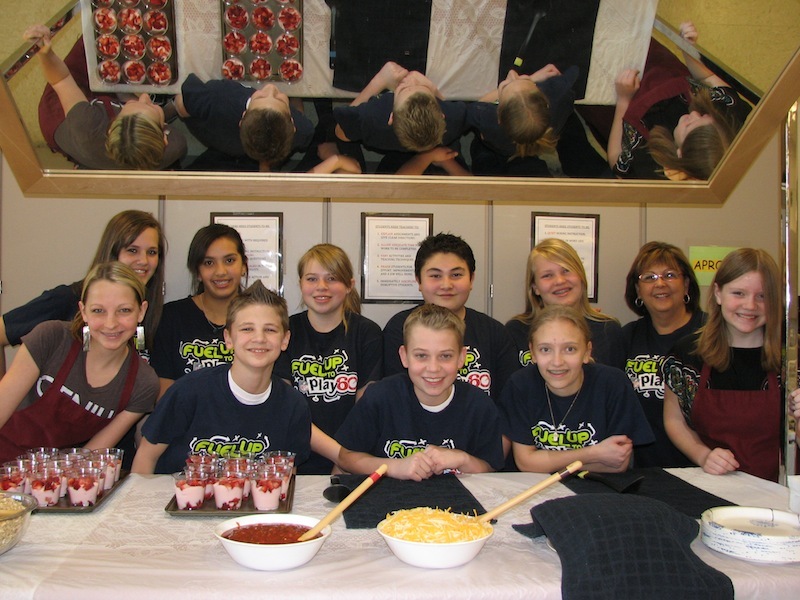 Past School Grants for Healthy Kids recipients have great stories to tell. 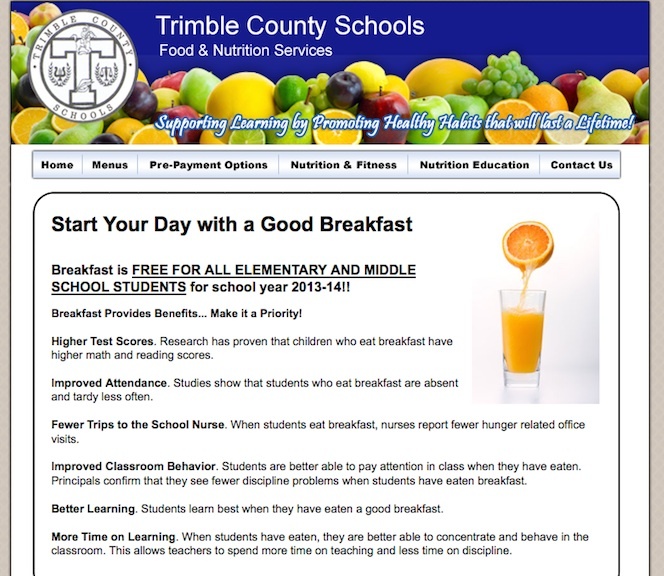 For example: Trimble County Middle School in Bedford, Ky., reports a steady increase in their Universal Breakfast program participation and overall sick complaints/nurse visits down school-wide. Trimble County has also received compliments from the student body and notes that the breakfast program has helped ease a financial burden for families. “Universal Breakfast is a great program. I see the number of students that come through my serving line that are hungry and are not getting healthy meals at home. This is a great way to show that someone does care,” said Jackie Goode, Trimble County Middle School cafeteria manager. 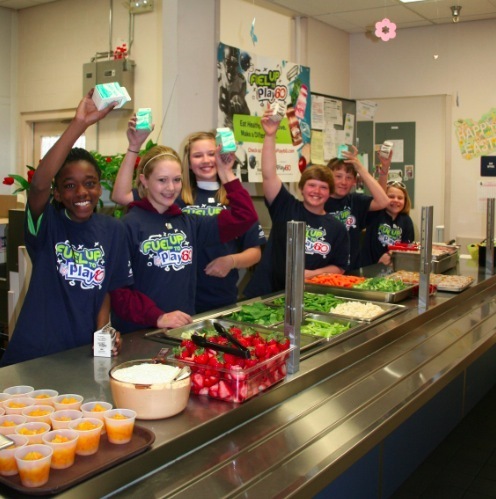 A grant from School Grants for Healthy Kids can do the same for your school. Grants will be available in select states. Award amounts will be based on building enrollment, project type, potential impact, and a school’s ability to mobilize parents and students around school wellness initiatives. Applications must be filed by May 2, 2014. The deadline will not be extended. Learn more: If you’re interested for your school, attend an hour-long introductory webinar Thursday, March 20, 2014 at 3 p.m. ET, 2 p.m. CT, 1 p.m. MT and noon PT to get tips for applying. You can register. Archived sessions also will be available. Once you have all the information you need, start the application process and apply before the May 2, 2014 deadline. I’ve been a fan of strong, effective Local Wellness Policies since they were first required in the Child Nutrition Reauthorization Act of 2004. The changes mandated by the Healthy Hunger-Free Kids Act of 2010 have the real potential to strengthen wellness environments in schools. However, they have to be implemented – rather than just sitting on the shelf in someone’s office. The key is a strong, effective wellness committee – administrators, teachers, nutrition staff, parents and students – working together. Need a model wellness policy? 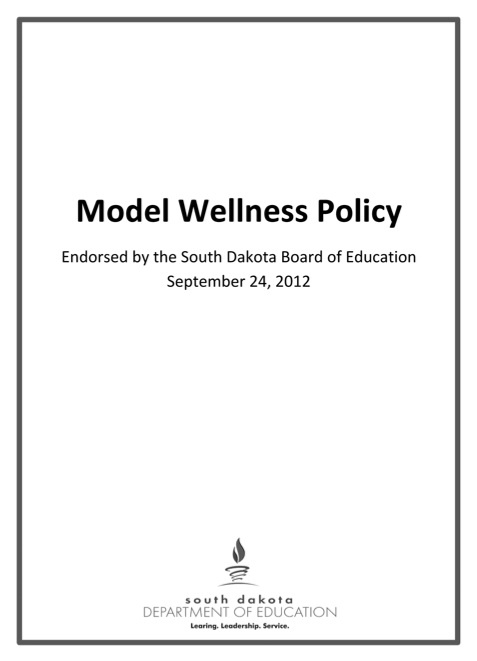 I highly recommend the South Dakota Model Wellness Policy, developed by a coalition of South Dakota school and health professionals – and approved by their State Board of Education in September 2012. It meets all the requirements – and provides links to many resources. RECESS before lunch has been shown to have some additional very important benefits. When children are active before coming to the cafeteria, they eat better and behave better. Studies show that they actually eat more entrée, vegetables and fruits – and drink more milk. When kids rush through lunch so they can run out to play, lots of food goes into the garbage can and students are short-changed on afternoon fuel. Breakfast helps children learn in the morning, but lunch is just as necessary for afternoon classes. 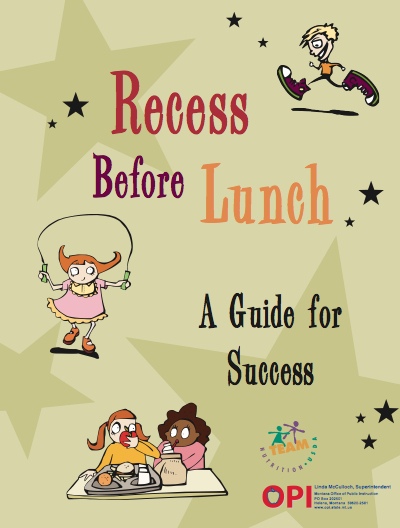 I’m proud to say that Montana Team Nutrition has been real leader in RECESS Before Lunch, publishing both A Guide to Success and research: Scheduling Recess Before Lunch: Exploring the Benefits and Challenges in Montana Schools. How long does it take to wake up a child’s body and brain? According to the physical activity experts at the free JAM program, just a minute makes difference. 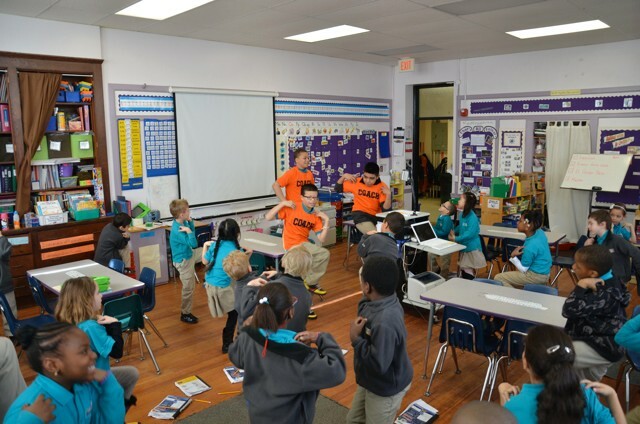 The JAM School Program brings physical activity and health education into the classroom, teaching kids (and adults) healthier lifestyle habits. JAM offers a weekly one-minute activity routine called JAMmin’ Minute®, a more extensive routine called JAM Blast®, and a monthly health newsletter called Health-E-tips. Why does JAM work for schools? Whole class does the same thing creating a sense of community and belonging. The JAM routines help improve strength, conditioning and coordination. 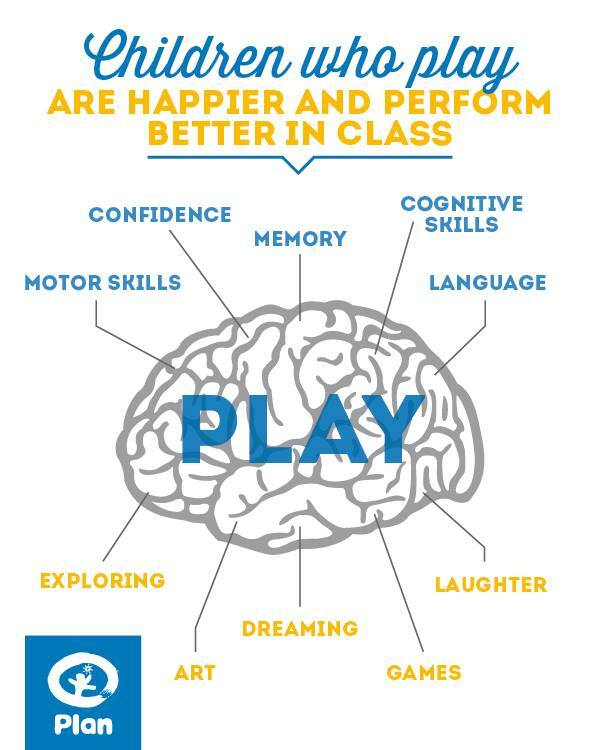 Brain breaks enhances ability to focus, concentrate and learn. Easily adds more physical activity minutes to the school day. Sign up and give it a try to day – in your class or in a meeting. JAMmin’ is good for children and adults alike.